Elliott-Lewis has been handling HVAC/R service calls for Grundy Arena, an ice rink facility in Bristol, PA, for a number of years. Grundy recently decided to take Elliott-Lewis sales representative Brian Haley’s advice and entered into a Preventive Maintenance Contract with the Company. Grundy’s HVAC system was running well. But, as part of the inspection of the all the HVAC components covered under that contract, Elliott-Lewis service technician Bob Drames noticed the steel structure that holds the cooling tower had rusted through in several locations. Upon further investigation, it became apparent that the structure no longer had enough integrity to hold the approximately 10,000-pound tower. The problem could not have come at a worse time. 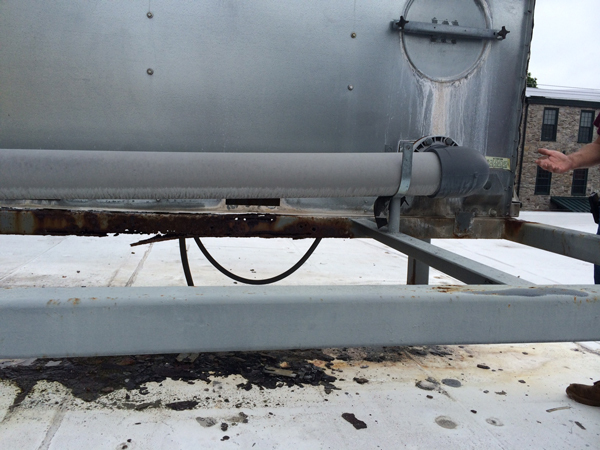 A repair meant a total system shut down while the cooling tower was disconnected and moved to allow the steel support structure to be replaced. 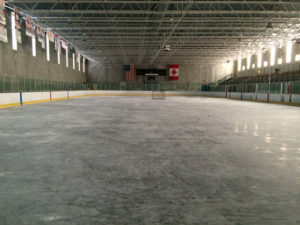 The situation was clearly unsafe but, with temperatures close to 90 degrees, the ice on the skating center’s rink would last only a couple hours if the Arena’s refrigeration system that the cooling tower served was shut down. 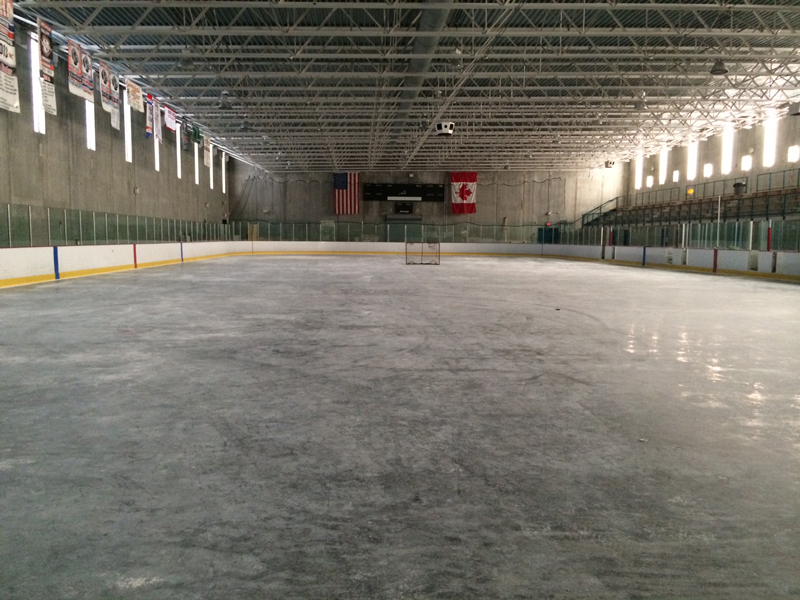 Elliott-Lewis’ director of construction, Tom Steiner, worked with Sautter Crane Rental, an Elliott-Lewis affiliate, to come up with an amazing solution that kept the rinks open during the steel replacement. 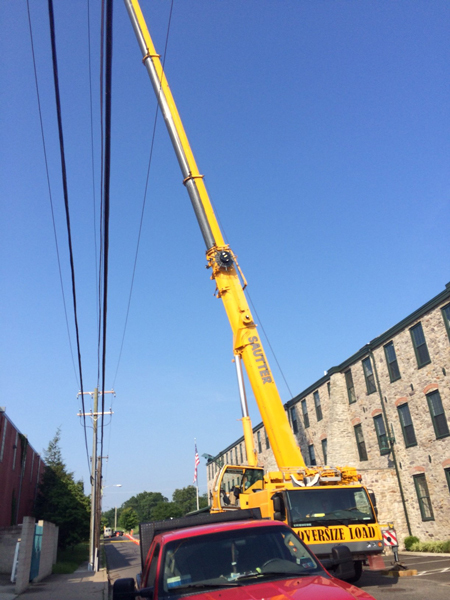 Sautter sent a 120-ton crane to the site to lift the cooling tower off the structure, while it was still running, to allow Elliott-Lewis’ construction team to replace the I-beams supporting the tower. 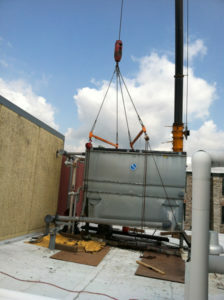 The crane had to hold the cooling tower just one-half inch off the steel while the work was done so none of the connections were strained. Prior to lifting the cooling tower, the piping had to be supported in place. The job was further complicated by aerial electric wires above the cooling tower that obstructed the crane’s movements. Normally a cooling tower replacement would take several days to complete. Using this method, the steel was replaced and tack welded into place and the cooling tower was lowered onto the new supports in just six hours. The final welding and pipe hanging was completed the following day. Not only did the Elliott-Lewis approach provide a quire response to an emergency situation and allow the rinks to remain fully operational during the changeover, the process saved the customer money over disconnecting the cooling tower and reconnecting it once the steel was replaced. Having both an in-house construction team and cranes made Elliott-Lewis uniquely qualified to Grundy’s emergency with absolutely no disruption in service or inconvenience to Grundy’s customers.